The Australian Open is a mid-summer event in Melbourne and will always have days of scorching temperatures of 40 degrees Celsius and over. The tournament’s extreme heat policy calls for the roofs to be closed on the main show courts and play to be suspended on outer courts when the temperature reaches 40 degrees Celsius (104 Fahrenheit) and the wet-bulb globe temperature (WBGT), which takes into account humidity and wind speed, reaches 32.5 Celsius (90.5 Fahrenheit). The high temperature Friday marginally reached 40 degrees Celsius, but the wet-bulb temperature remained below the 32.5 Celsius threshold, so play was not halted. 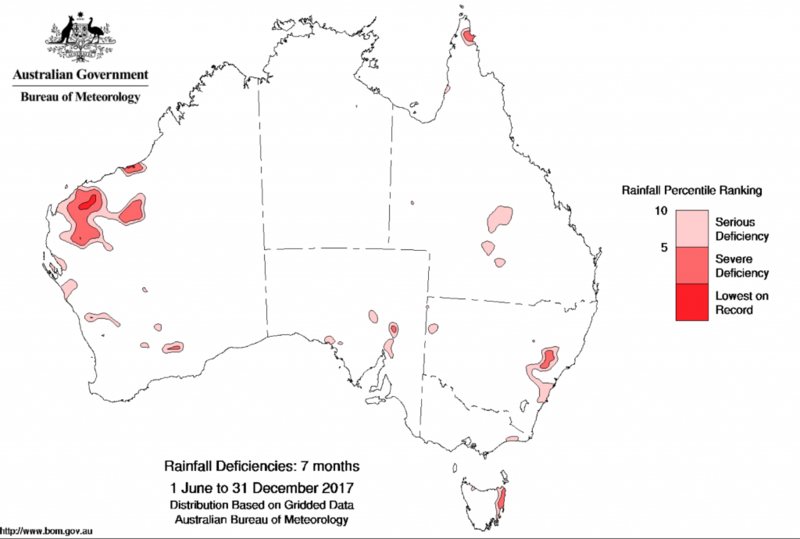 According to the BoM latest Drought Statement, the rainfall for December was below to very much below average for most of the Northern Territory, Queensland, and the Goldfields region of Western Australia but a wet December in Victoria and NSW eased the deficiencies in the southeast. Offshore Weather Services embraces the rapid advances in meteorological knowledge and uses the latest technology in its forecasting services. OWS clients greatly benefit on the high accuracy of the forecasts and the extended lead time on tropical cyclone events. 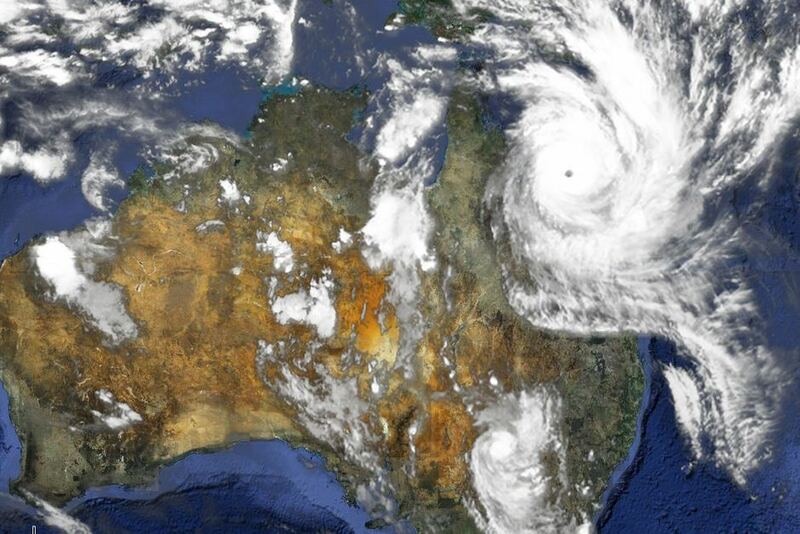 335 tropical cyclones have been independently analysed and tracked by Offshore Weather Services Duty Forecasters over the Northwest Pacific, Eastern Indian Ocean, Bay of Bengal and northern Australian oceanic waters since 2008. Using established Dvorak satellite analysis techniques from imagery received directly at the OWS satellite earth station in Melbourne, Australia, and more recently microwave imagery, scatterometer and other imaging data, OWS provide independent analysis of tropical cyclone activity in the Asia Pacific region. As OWS celebrates its 15th years of uninterrupted service to the oil and energy industry, we look back and celebrate how the company has grown. 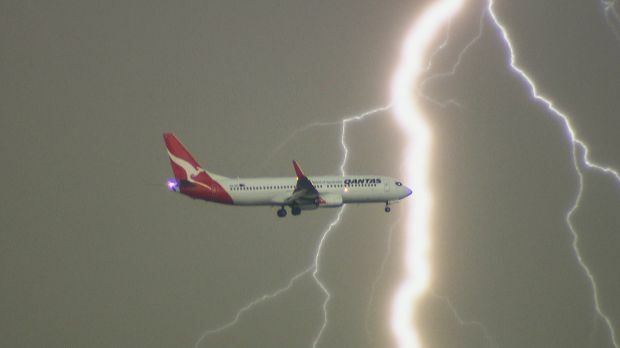 Continuous improvement in weather forecasting technology has resulted in enormous improvements in the accuracy of marine weather, aviation and tropical cyclone forecasts. 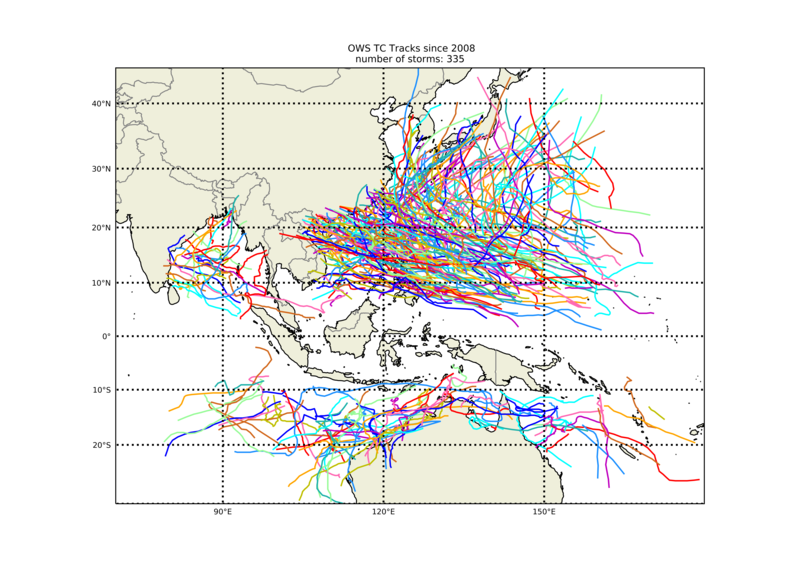 Based on the current atmospheric dynamics and the analogue years selected, the total number of tropical cyclones should be near or slightly above the climatological average across the NW Shelf -Timor Sea, Arafura Sea-West Gulf of Carpentaria and the Coral Sea regions with about 10 expected (Range 6 to 14) and 2-7 reaching Severe Tropical Cyclone strength. Six coastal impacts (range 2-12) are expected over the three regions. The Tropical Cyclone Season should start late November 2017 and finish in late May 2018 with 40 TC days expected. The Bureau of Meteorology Climate Outlook for November 2017 to January 2018 shows eastern Victoria is likely to have a wetter than average three months. The rest of the country has around a 50% chance of above average rainfall. 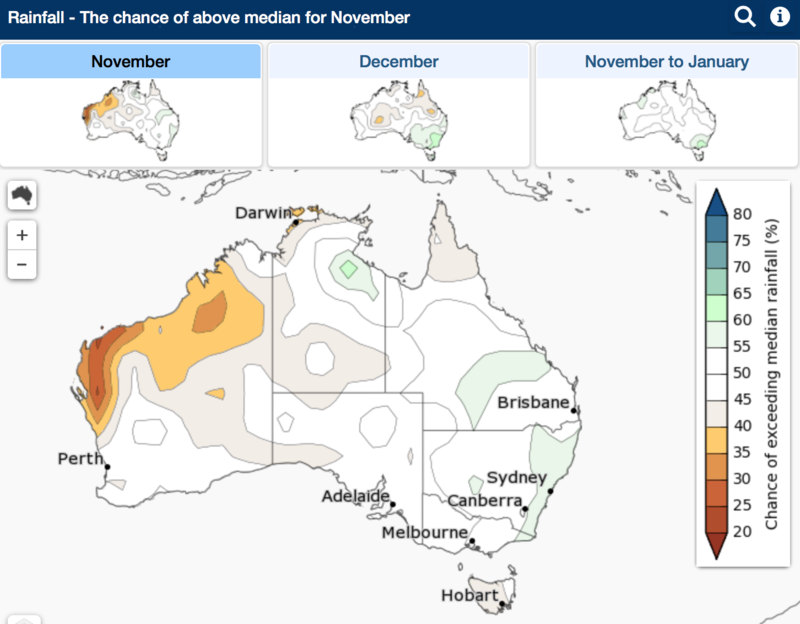 November is likely to be drier for most of northern WA, with highest chances in the Pilbara and Gascoyne regions. 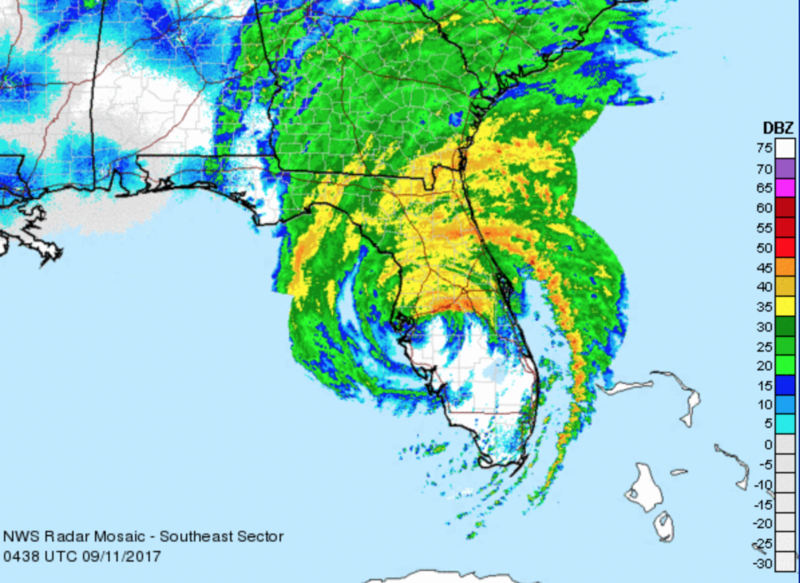 Hurricane Irma is moving north over Florida after making its landfall at the Florida Keys archipelago around 9am local time. Irma weakened after landfall with maximum sustained winds estimated to be 65kt at 11/0000UTC. 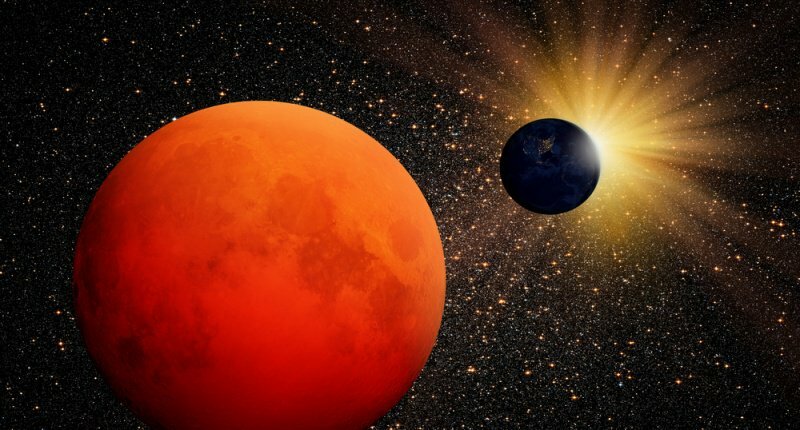 It is expected to weaken further over land and should dissipate from 13th September. Radar Imagery courtesy of the National Weather Service. In a rare event in the western Atlantic, three hurricanes are in a row – Katia, Irma and Jose. The strongest among the three, Hurricane Irma has already crossed the Dominican Republic and left fatalities and massive damages in its wake. 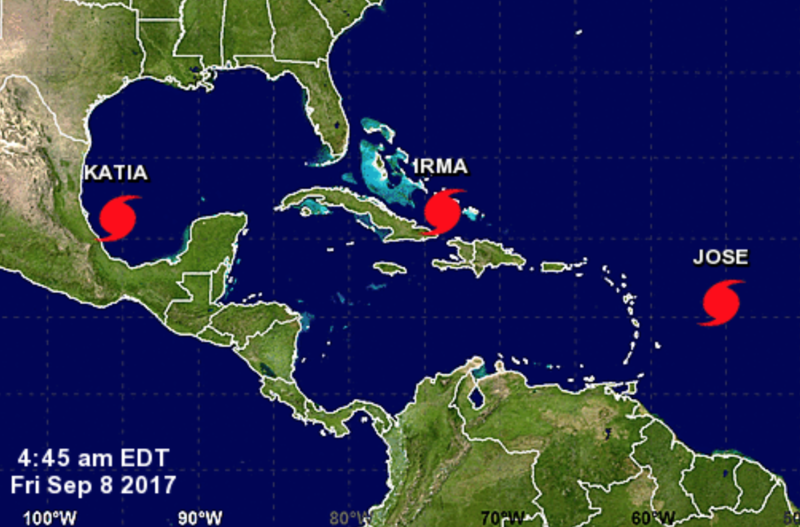 Irma remains a threat to Cuba, The Bahamas and southern Florida. Hurricane Katia in the southwestern Gulf of Mexico has maximum sustained winds of 80kt near the centre and is moving slowly WSW towards southern Mexico. Hurricane Irma now west of Inagua Islands has maximum sustained winds of 135kt and is moving WNW skirting the northern coast of Cuba towards southern Florida. The last in line, Hurricane Jose with maximum sustained winds of 110kt is moving WNW towards the northern islands of the Lesser Antilles. 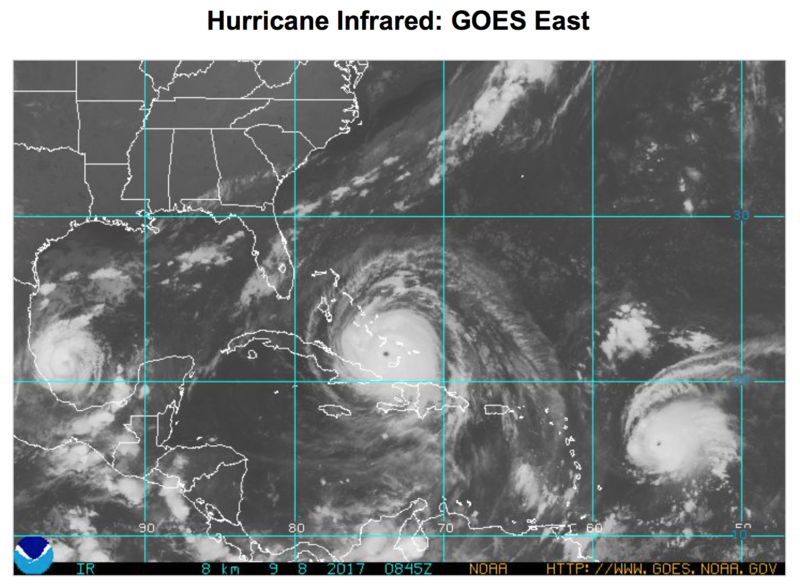 Photos courtesy of the National Hurricane Centre.